Award-winning Uconnect technology is changing the way Louisville, KY drives, allowing for improved safety, greater convenience, and more spectacular entertainment possibilities than ever before. 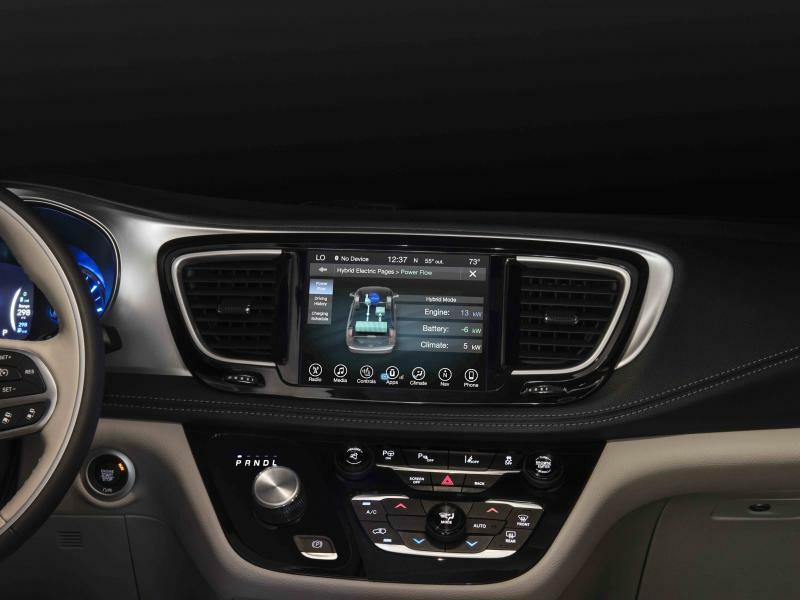 At Oxmoor Chrysler Dodge Jeep Ram, your Uconnect-enabled SUV, truck, sedan, or passenger van puts you in control. An easy-to-read, intuitive touchscreen makes finding the function you need a piece of cake, whether you're looking for a downtown address or searching for the perfect playlist. Hands-free technology translates to voice control that keeps your eyes and attention on the road. Integrate your smartphone and fire up the Uconnect app, and gain a personal assistant that can unlock or lock the doors and start your vehicle remotely. Best of all, no one will lack entertainment thanks to features that access local AM/FM radio, more than 150 channels of news, sports, and music through SiriusXM satellite radio, and the entire internet universe via Uconnect Theater. Imagine the pure joy of a road trip to Tom Wallace Lake in your Chrysler Pacifica with a happy backseat of travellers fully engaged in a game or movie with Uconnect Theater. A full workday on the job site will fly by in your Ram 1500 equipped with commercial-free Sirius XM satellite radio. Or, explore the back roads and byways in your Jeep Cherokee with a soundtrack of your own perfect playlist, coming through perfectly on your Uconnect system. Uconnect technology gives you extra peace of mind with functions to assess the current state of your vehicle's health, summon emergency assistance quick, and turn the lights on or start the engine in your vehicle from a distance. From wireless streaming to road safety, Uconnect technology keeps you informed and happy in all your Louisville, KY, adventures. At Oxmoor Chrysler Dodge Jeep Ram, we couldn't be more thrilled to offer the vehicles that connect you to your world. Browse new and used vehicles at Oxmoor Chrysler Dodge Jeep Ram to find your next driving adventure. Contact our Louisville, KY, dealership to schedule a test drive and experience advanced Uconnect technology first hand.